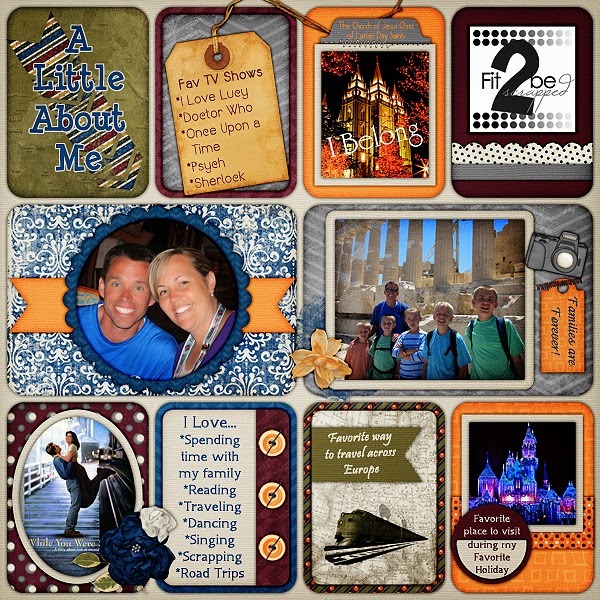 MyMemories Blog: Meet today's Daily Designer....Fit 2 Be Scrapped! Meet today's Daily Designer....Fit 2 Be Scrapped! Let's see- my most embarrassing moment... There are so many! Like walking into a pole at the store, talking about someone behind their back- literally, accidentally flashing someone while nursing my children... But my favorite one is when I was eight, about a week after my tonsils had been removed. I was lounging, working to recover when my throat started hemorrhaging. My parents rushed me to the E.R. and they immediately started to get me into one of those designer gowns. I panicked and told them to STOP because I forgot to wear underwear that day. Everyone in the ER laughed at me, and I was mortified. I can safely say that was the last time I ever went without! Also visit Fit 2 Be Scrapped at these other social sites!